Ameno World 'Datang Haid' Menyebabkan Wan Azizah Tak Layak Jadi MB Kata Peguam UMNO. Kos Projek Keretapi Laju Naik 2 Kali Ganda Kerana Ada Konspirasi Nak Bayar Hutang 1MDB Dedah Portal Sarawak Report. Kos Projek Keretapi Laju Naik 2 Kali Ganda Kerana Ada Konspirasi Nak Bayar Hutang 1MDB Lapor Sarawak Report. Kos Projek Keretapi Laju Naik 2 Kali Ganda Kerana Ada Konspirasi Nak Bayar Hutang 1MDB Lapor Sarawak Report. Ini versi copy paste je. Untuk mudahkan pembaca-pembaca yang gagal akses Sarawak Report dan malas nak cari jalan untuk skip sekatan yang dikenakan oleh SKMM. 1. Mereka telah berjaya mendapatkan satu maklumat sulit berkaitan pembinaan keretapi laju. 2. Projek keretapi laju tu ialah satu projek usahasama dengan syarikat China. 3. Projek itu dianggarkan bernilai 30b. Tetapi nilai itu meningkat dua kali ganda (bakal diluluskan) iaitu dianggarkan sebanyak 60b. 4. Sumber dalaman menyalurkan maklumat bahawanya proposal berkenaan peningkatan kos itu sedang dalam kelulusan. Kertas kerja dah siap dan sekarang neh ianya dalam penilaian menteri2 kabinet dan dijangka apa proceed seperti biasa. 5. Peningkatan kos itu berlaku disebabkan mahu mendapatkan wang tambahan sesegera yang mungkin bagi membayar hutang 1MDB (Jho Low). 6. Whistle-blower turut mendedahkan bahawanya 30b yang lain akan disalurkan kepada anak-anak syarikat berkaitan 1MDB. 7. Dibayangkan juga seolah2 syarikat China yang dibackup oleh kerajaan China sepertinya mengetahui tentang hakikat ini dan bersetuju dengan peningkatan kos tersebut kerana bakal memperolehi reward yang generous dari kerajaan Malaysia. Tanah, pengaruh dari kerajaan serta diberikan hak untuk mendapatkan keuntungan semaksima yang mungkin adalah apa yang dipersetujui antara kedua-dua belah pihak. 8. Turut dinyatakan bahawa syarikat China tersebut dikecualikan dari GST selama 10 tahun. 9. Najib memerlukan sekurang2nya 7.5b USD = 29b Ringgit Malaysia bagi melupuskan kesemua hutang2 dan notis tuntutan hutang terhadap 1MDB. Berdasarkan kepada dokumentasi-dokumentasi yang didapati di portal SR, aku dapati ada banyak tulisan cina. Adakah pihak kita yang membocorkan maklumat ataupun dari pihak sana? Dan ini adalah versi penuh laporan Sarawak Report. Baca dan nilai kebenarannya sendiri. Marked “For Internal Use Only” an Appendix to a Term Sheet due to be approved by the Malaysian Cabinet today (27th July) lays out in detailed figures how Najib plans for over US$7 billion in accumulated 1MDB/Jho Low company debts to be wiped out by taxpayers in a secret deal between his Ministry of Finance and the Chinese state company CCCC (China Communications Construction Company). The PM’s ‘cunning plan’ is to get the Malaysian Government to agree to inflate the actual cost of the East Coast Rail Project from only RM30 billion to RM60 billion, all to be borrowed from the Chinese Government, in order to disguise the payment of 1MDB’s (and Jho Low’s) company debts! Sarawak Report can reveal the secret figures behind the deal, which has been inflated 100% to hide the payments for 1MDB! “The Malaysian Government is planning to award an overvalued project to launder money in order to fill the loophole of 1MDB. The plan is to award the East Coast Rail Project to a Chinese Company, China Communication Construction Company Limited (CCCC). The initial budget for the project is MYR 30b, but they have overvalued the project for another MYR 30b, making it MYR 60b. The extra MYR 30b will be use to launder out cash to 1MDB related companies. The project has been proposed to the cabinet on 25/7/2016 and will be approved by the cabinet on 27/7/2016 with total value of MYR 60b. The Chinese company, which is backed by the China Government, will help pay off the 1MDB dept in advance and progressively. In return, this Chinese company will be rewarded with high profits and land, and of course extra influence with the Malaysian government”. The outrageous plan is blatantly laid out in the term sheet and internal report, which have been leaked to Sarawak Report. The company makes no bones about the incentives provided by the Malaysian Government in this “Direct Contract”, meaning that there was no open tender to get the best deal for the project. CCCC says it has been given land on generous terms, including a chunk of land which was given cheap by Najib to 1MDB, then inflated in value at Ayer Item – the land which is valued at US$1.3 billion will be offered to CCCC for US$850 million. CCCC will also gets tax breaks including from GST for the next ten years. And then, as a Chinese State-owned company CCCC notes the benefit of the extended influence over Malaysia the project and the massive loan of the cash (at a generous 2% interest rate) will provide. So much for Najib Razak’s much vaunted ‘inward investment’ plans from fellow Islamic countries and his stirring of hatred against the so-called ‘Chinese Tsunami’! What is in this deceitful deal for the Chinese? The quid pro quo for the Chinese partners in this lucrative deal is to assist in Najib’s corrupted exit strategy for getting shot of his multi-billion dollar debts at 1MDB at a total cost of US$5.63 billion! The first priority being to get 1MDB off the hook over its outstanding payments to Abu Dhabi’s IPIC. In the first instance this will be achieved through the payment of the $850 million to 1MDB for the Ayer Item land, but after that the company will assume the repayment of the remaining debts for the disastrous ‘power purchase’ and ‘strategic partnership loans’ which lost billions (mainly stolen). The Malaysian taxpayer will of course have to pay the whole lot back with interest over the next 7 years in payments, all planned to be disguised by the inflated Rail Project! Laughably, this outlay is set to be disguised by a repayment in ‘assets’ valued to the same amount of US$5.63 billion. The assets concerned are largely duds – vaunted ‘liquid and cash assets’ tucked away by 1MDB in dodgy bank accounts, including the 1MDB Brazen Sky account at BSI (alleged worth $940 milllion) and also the supposed assets of 1MDB Global at BSI, (alleged worth US$1.56 billion). Just last week the United States DOJ explained in searing detail how all that missing 1MDB money, which is now being sneaked onto the East Coast Rail tab, was stolen by Najib and his family and associates, including Jho Low and IPIC’s Khadem Al Qubaisi, to be spent on gambling, drinking, jets, yachts, record-breaking fine art purchases (in many cases depicting under-dressed female forms). The report sheet in our possession lays out in precise detail what CCCC/The Chinese Government has agreed to funnel through the project, in order to get Najib off the hook on all his problems. The astonishing list contained in an Appendix to the agreement is clearly costed and totals over US$7,5 billion. It includes writing off 1MDB’s debts to the Abu Dhabi sovereign wealth fund IPIC, which is currently suing 1MDB to the tune of US$6.5 billion over unpaid guarantees. Bailing out Jho Low’s companies also!! Jho Low related companies which funnelled money to Najib are also in the secret bail out package! 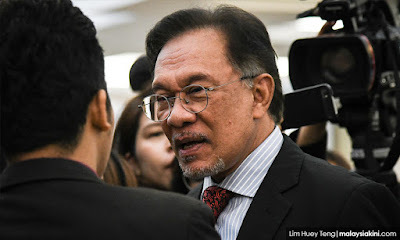 Sarawak Report has long since exposed how Jho Low used 1MDB money, which was secretly channeled through a so-called Islamic loan agreement with the company PetroSaudi to ‘buy out’ the Sarawak UBG group in which he and Taib Mahmud held the major stakes. The purported buyer was Javace Sdn Bhd, a supposed subsidiary of PetroSaudi International, Seychelles (a bogus subsidiary of PetroSaudi, whose Director was Tarek Obaid, also a director of PetroSaudi). However, secret transactions obtained by Sarawak Report showed that all the money in Javace was controlled by a company Panama Investment Manager, which was owned by Jho Low. Plainly therefore, Najib hopes to use his over-reaching powers at the MOF/PM’s office to launder all his dirty linen through the same simple mega-project, courtesy of secret and politically motivated Chinese cooperation. Public estimate leaves out the 1MDB costs and commitments? A huge sum of RM85 million is also put aside in the contract for a ‘nominated company’ to be awarded a “publicity” and “communications” and “strategic consultation” role on the project – no guesses that this will go to a crony outfit. Finally, also attached to the papers is a totally conflicting set of calculations, which are not listed as being “only for internal consumption” and which appear to represent the public face of the planned deal. These consist of a broad-brush, ‘back of the envelope’ set of figures, which provide a broad estimate for the project at the fuller figure of RM60 billion. In this list there is no mention of any of the costs due to be carried for 1MDB! The agreement is due to be passed by Najib’s compliant cabinet….. about now! Tag : 'Datang Haid' Menyebabkan Wan Azizah Tak Layak Jadi MB Kata Peguam UMNO. , Kos Projek Keretapi Laju Naik 2 Kali Ganda Kerana Ada Konspirasi Nak Bayar Hutang 1MDB Dedah Portal Sarawak Report.